Resilience comes from the Latin resilio, which means to jump or bounce back. Emotional resilience is our ability to cope with, or adapt to, stressful situations or life events. Emotional resilience is fast becoming a new buzz word. Building emotional resilience was targeted to help trauma and disaster victims, it is now being applied to the stresses of modern life, in schools, offices and pressured academic environments. Emotional resilience helps us cope with whatever life throws at us. It is like having an internal suit of armour. Studying can be demanding, particularly at times of extra pressure such as exams, deadlines, presentations, college entrance exams. By developing mental ‘toughness’ you’ll learn to challenge negative thoughts and see crises as challenges to overcome, not insurmountable problems. Improving your resilience will help you perform better in your studies and will prepare you for the stresses of the increased demands of college or entering the work force. So, whether you’re wondering if you’re doing okay, or want to learn how to make friends and get along with your parents better, we have the perfect recommendation. Meet K’BRO! What is K’BRO all about? For teens that are having difficulties at home or at school, for users that want to express their feelings in a more fun and safer way, K’BRO is the perfect solution. Dealing with your everyday struggles and challenges has never been more entertaining. This emotional resilience app is here to provide the emotional guidance you need. Full of amazing interactive features, designed with an intuitive user interface, K’BRO will help you develop skills and reach for support when needed. 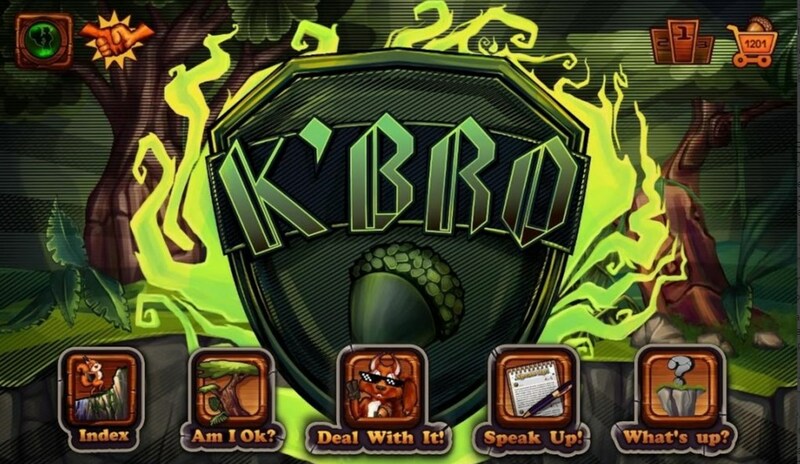 Developed as a global online community available in 65 countries and a support group for teenagers, the K’BRO app is perfect for those who are wondering how to get along with their parents better, how to make friends out of enemies, for those who are wondering if they’re doing okay, and other young people that want to get advice on how to deal with life’s challenges. The app offers various fun games that will teach you how to identify and name your emotions, helpful advice on how to deal with your everyday problems, games that will help you practice how to advocate for yourself, a safe place (a personal journal) to share your emotions and thoughts, etc. They are all organized and well-packed, you’ll find them by these names: “Am I OK?”, My Tribe, Deal With It!, Speak Up!, What’s Up?. 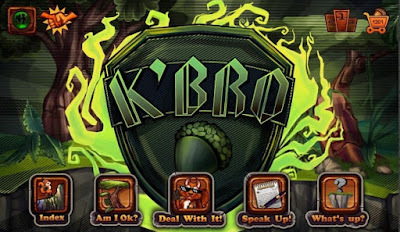 Part game/part anonymous sharing/part knowledgebase, K’BRO is totally free for download on both Google Play and the iTunes Stores. Get this fun tool to build emotional resiliency right away and have the support you need when you have no one to turn to. Remember to share it with your friends!